#MONOISCOMING, #monoishere, Namjoon, and more trend worldwide for BTS RM's new release! 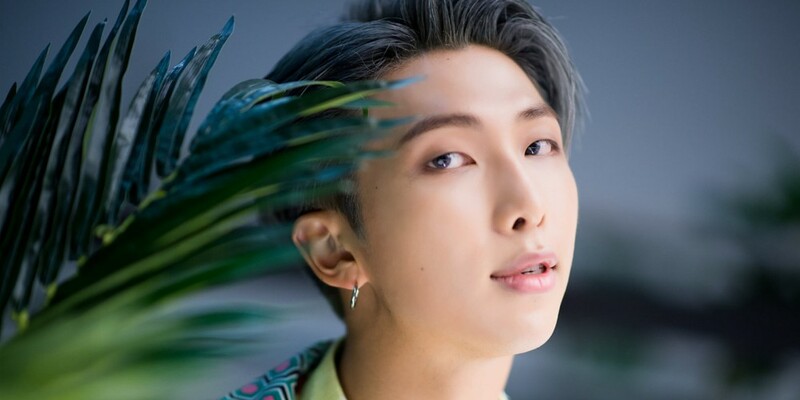 RM is taking over Twitter with 'Mono'. 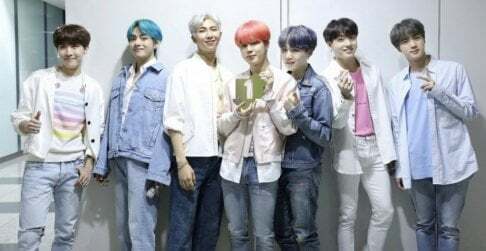 On October 23, the leader of BTS dropped the highly anticipated mixtape, which includes a total of 7 tracks "Tokyo", "Seoul", "Moonchild", "Badbye", "Dislocated" (literal translation), "Pass By", and "Forever Rain". Soon after the release, multiple hashtags - #monoishere, Namjoon, Seoul, #MONOISCOMING, Tokyo, and Forever Rain - started trending worldwide. 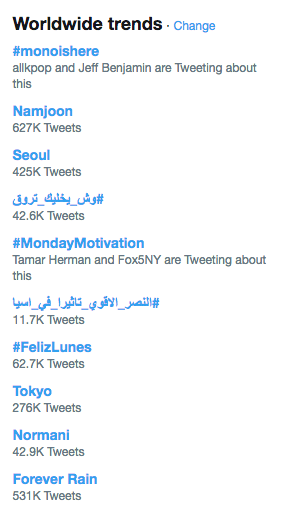 As you can see, RM has taken 6 out of the 10 worldwide trends on Twitter with 'Mono'. 'Mono' is available for download on SoundCloud, Google, Spotify, iTunes, Mediafire, and Dropbox. You can watch the MV for "Forever Rain" here. Our Namjoon is breaking records! 'mono.' by RM is now the album with most #1 iTunes by a korean soloist (77 so far) surpassing 'Hope World'.